Rotary Blower Discharge Silencers Discharge silencers are essential to a good system performance on all rotary blower systems. 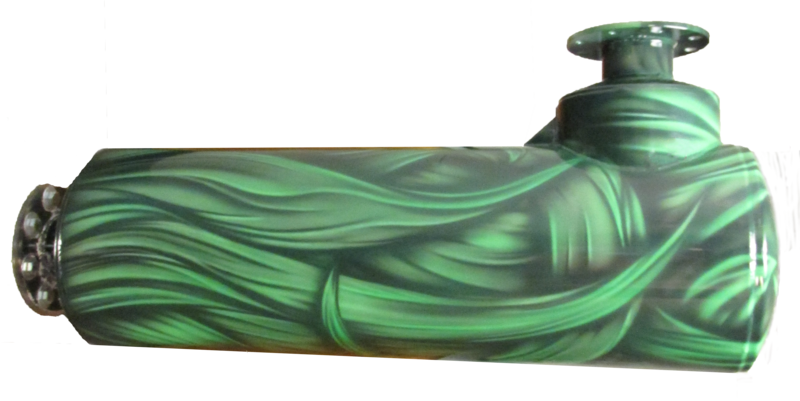 Normally, for good silencing, the discharge silencer should have an internal volume to blower displacement of 18 to 1. Rotary Blower Intake Silencers Intake silencers effectively reduce the noise and destructive low frequency pulsations that can be detrimental to surrounding equipment and personnel, as well as neighbors. The noise and/or pulsation energy generated at the blower inlet is a function of both blower speed and blower size. Discharge Silencer and Base The PD package provides a discharge silencer and a base on which the blower, motor, and belt guard are mounted as an integral part of the silencer. The PD design reduces labor and the overall cost of assembling small blower packages. Vacuum Pump Separator Silencers Vacuum Pump Separator Silencers are normally used on wet vacuum systems to reduce the discharge noise and simultaneously separate the liquid, which can be recovered or piped to a drain. Fan Silencers Fan Silencers are designed as an effective treatment of intake and discharge noise generated by the blower fan by using a high volume, low pressure drop, absorption type silencer. Vent Silencers Vent Silencers utilize one or two stage diffusers located at the silencer inlet to reduce the noise of vent valves and safety valves releasing high pressure gases into the atmosphere. Engine Silencers Engine Silencers include Chamber Engine Silencers (Engine intake and exhaust), Resonator Silencers (Low pressure drop silencers for turbo charged engines), Spark Arresting Silencers (for marine applications and areas where fire hazards may exist), and Low Profile Silencers. Centrifugal Compressor Silencers Centrifugal Compressor Silencers are designed to absorb the high-frequency intake and discharge noise of centrifugal compressors constructed of heavy cast iron. Integral Silencers or Removable Silencers. 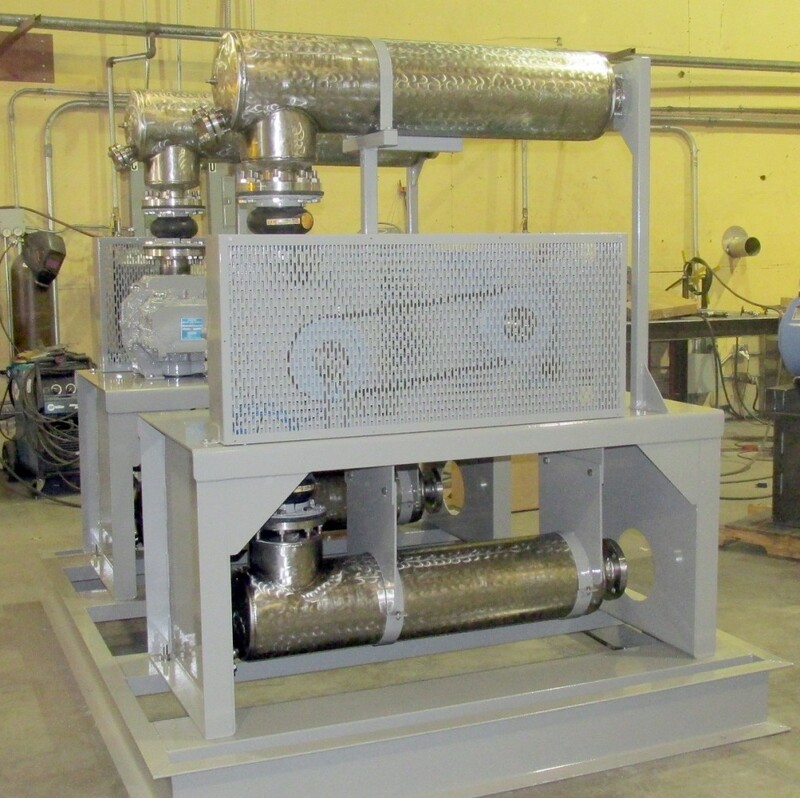 Air Intake Filters & Filter Silencers Your requirements will vary with installation locations and type of foreign matter being removed from the air. F64 Filter Silencer Air Intake Filters and Filter Silencers allow for direct mounting on the inlet of the blower, compressor, or engine. This series provides 16dB to 20dB noise reduction and the paper filter media has an efficiency of 99% on 1 micron particles. F65 and F65V Inline Air Filters allow for direct mounting in the air piping system of the blower, compressor, or engine. The housing is designed to withstand a full vacuum or 15 PSIG and the paper filter media has an efficiency of 99% on 1 micron particles. F72 Air Intake Filters and Filter Silencers allow for direct mounting on the inlet of the blower, compressor, or engine. 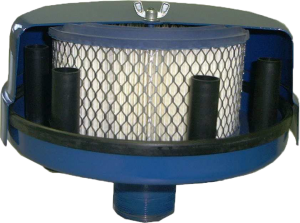 This series provides 16dB to 20dB noise reduction and the Polyurethane filter media has an efficiency of 98% on 10 micron particles with a stainless steel core. F75 Inline Air Filters direct mount in the air piping system or vacuum system piping for vacuum blowers, engines or compressors. The housing is rated to 16 inches Hg vacuum. The filtering element is polyurethane foam with a stainless steel center core. 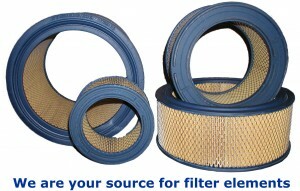 The filter removes 98% of all particles 10 micron size or larger. F21 F22 F41 F42 Air Intake Filters are recommended for turbines, engines, centrifugal fans, blowers and compressors where controlled filtration is required or where dust-free process air requirements are highly critical.